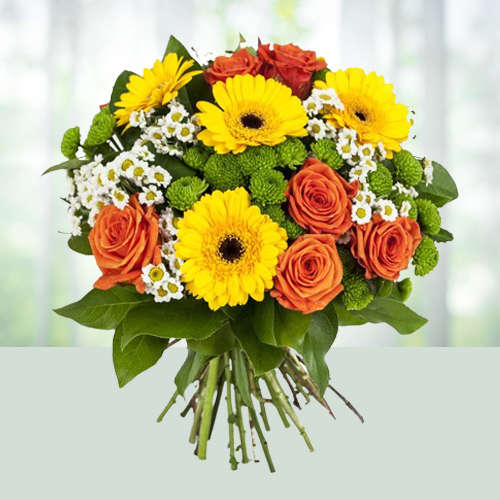 Wishes are delivered in the most stunning way by gifting this Exquisite Bright Flowers Magic Collection for lovely people in a lovely way. Our bestselling holiday arrangement is hand-designed with fragrant mix of Fifteen Seasonal Flowers prettified with Filler Flowers. Flowers Delivery Bharatpur, Send sweets Kanchipuram, Wedding Cake Ratnagiri, Diwali Mithai Jaipur, Send Flowers and Gifts to Nagari, Online Shop Jallandhar, Flower to Kurnool, New Year Flowers Bikaner , Fresh Fruits Chittoor, Send Gift Mirzapur, Dry Fruits to Ajmer, Birthday Delivery Dehradun, Sending to Malappuram, Flower shop Raichur, Bhusawal Online Cake Delivery.